Make your backyard the star of the neighborhood with these creative fences and major backyard Pinterest-worthy ideas! 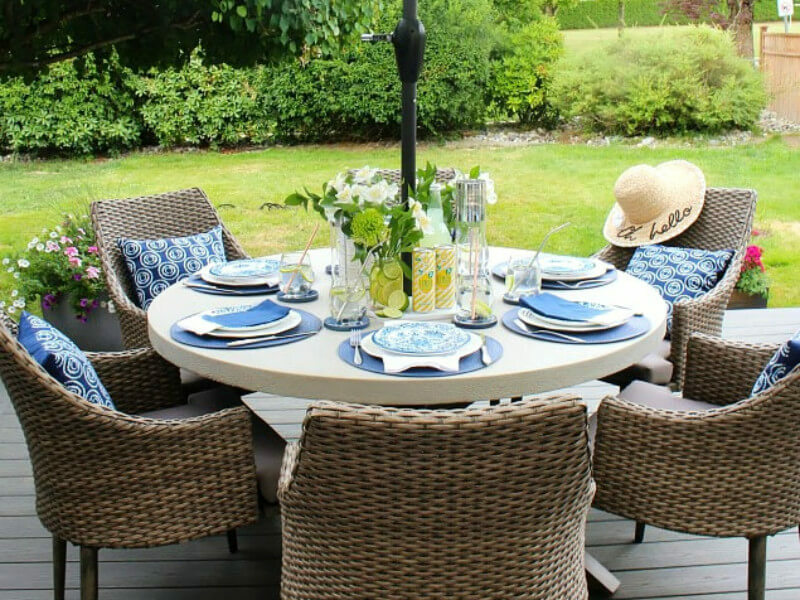 With the warmer weather here, there is no better time to get the outdoor area ready for some fun summer gatherings. The whole space deserves the proper attention, but the fence is the first one on the list. A boring or bland fence can affect how the entire house is perceived, so making your fence beautiful and eye-catching is crucial. 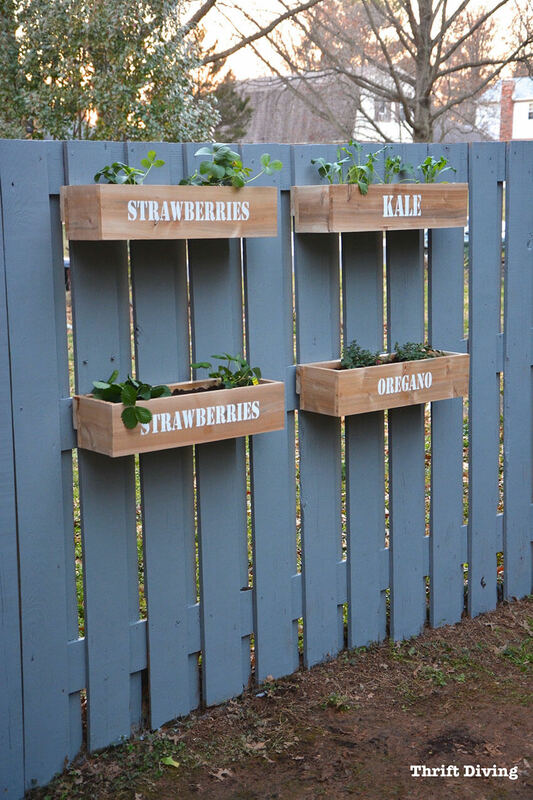 To transform the space, here are some super creative ideas to make the fence the life of the house! One of the most impressive ideas is making the fence a living one. 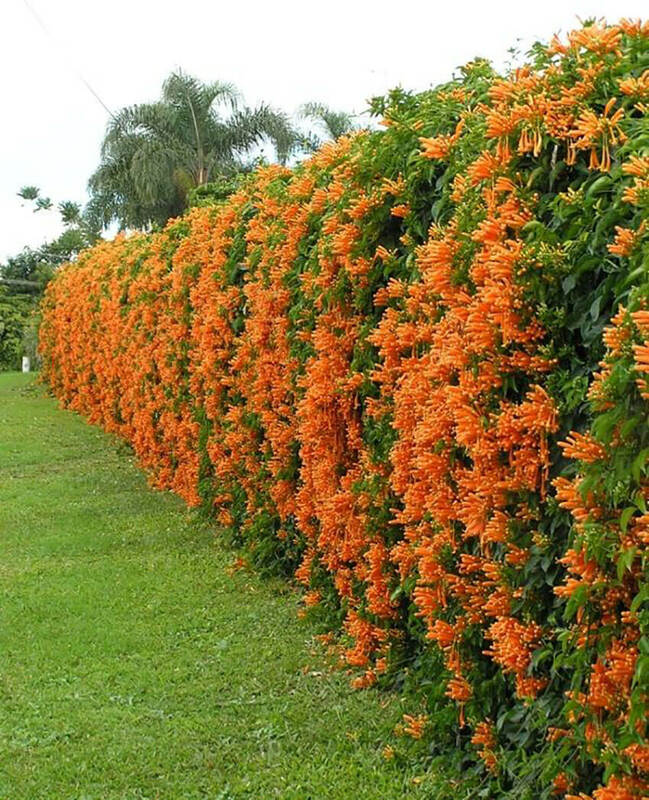 You can focus on greenery, which is usually easier to care for, or add some wiring to allow climbing plants to grow up the fence. 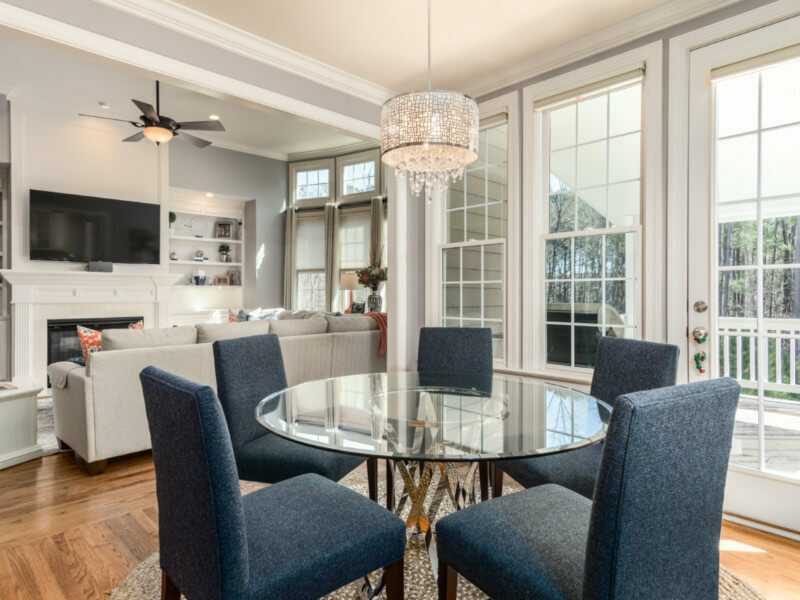 Since the season is perfect for colorful flowers, adding some beautiful options will make it stunning. 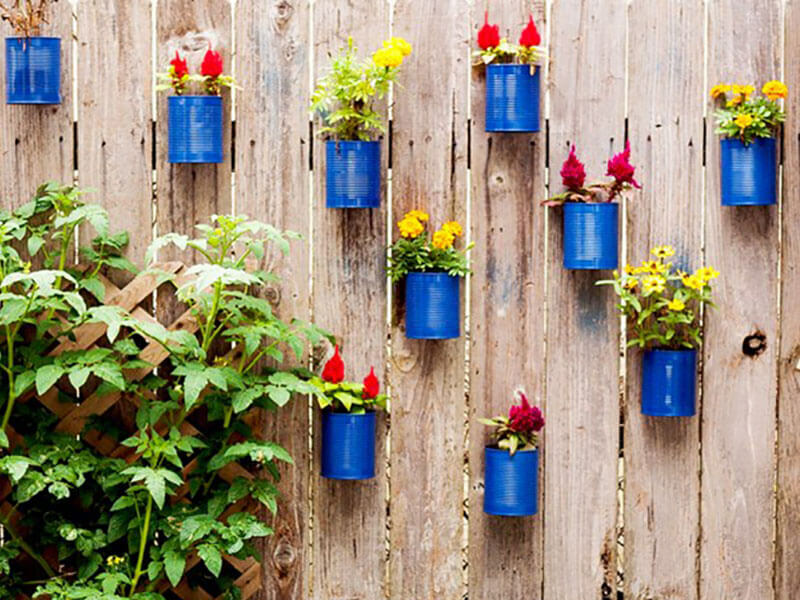 If you don't want to commit to living fences or if you prefer a simpler option, hanging some planters is a great way to make it more colorful. You can add some spray painted tin cans, following this fun tutorial from Ciera Design, or just screw in some nice wooden planters. 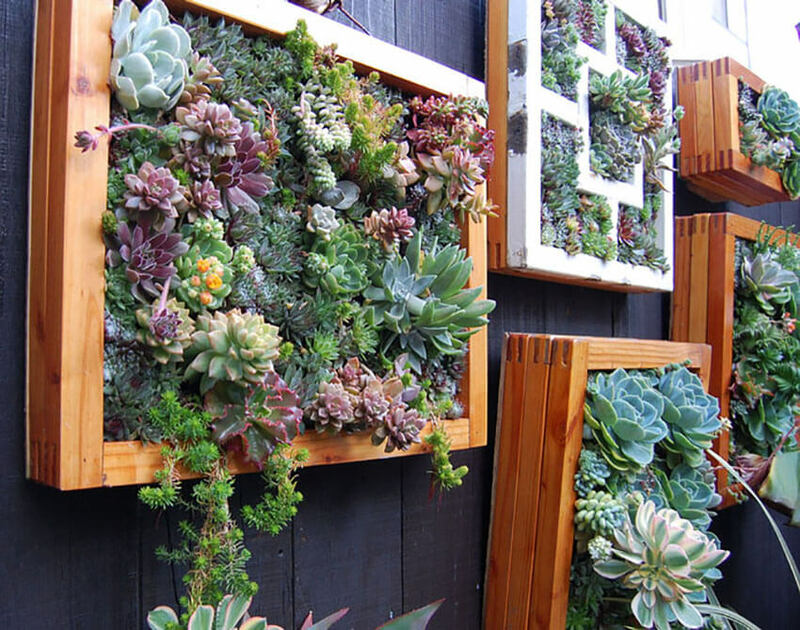 For the succulent lovers, you can add some beautiful vertical planters to make the fence even more impressive! To make the outdoor gathering cozier and to add just the right amount of ambience to your backyard, this is a great option. 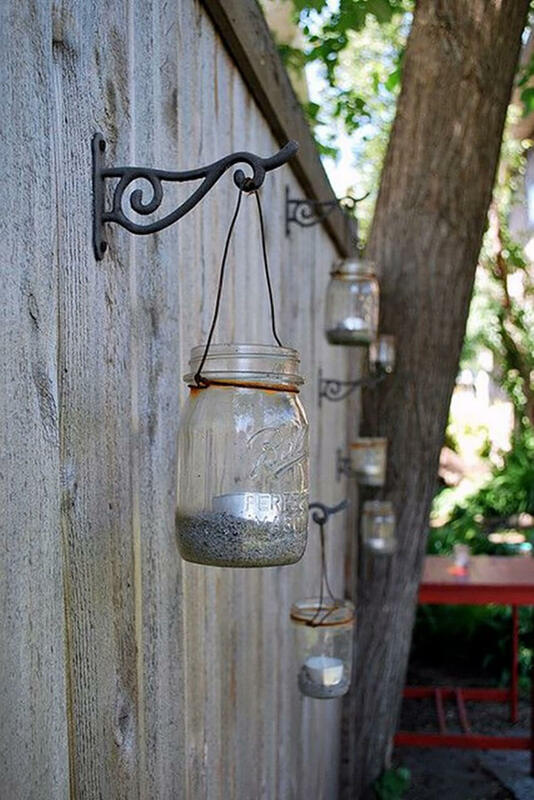 Add some hanging mason jars and use them as candle holders! 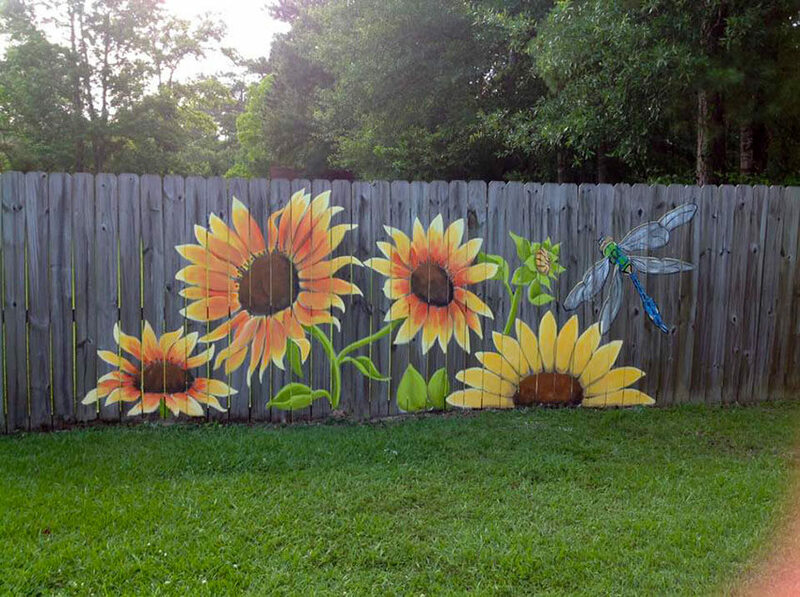 Let your creativity shine and do some drawings and paintings on the fence. 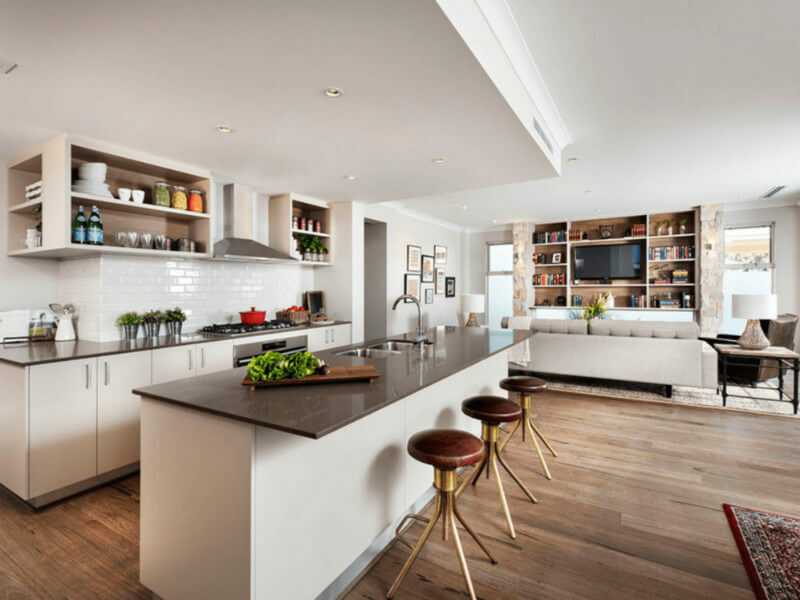 It doesn’t need to be super elaborate - any kind of art will show your personality and style. 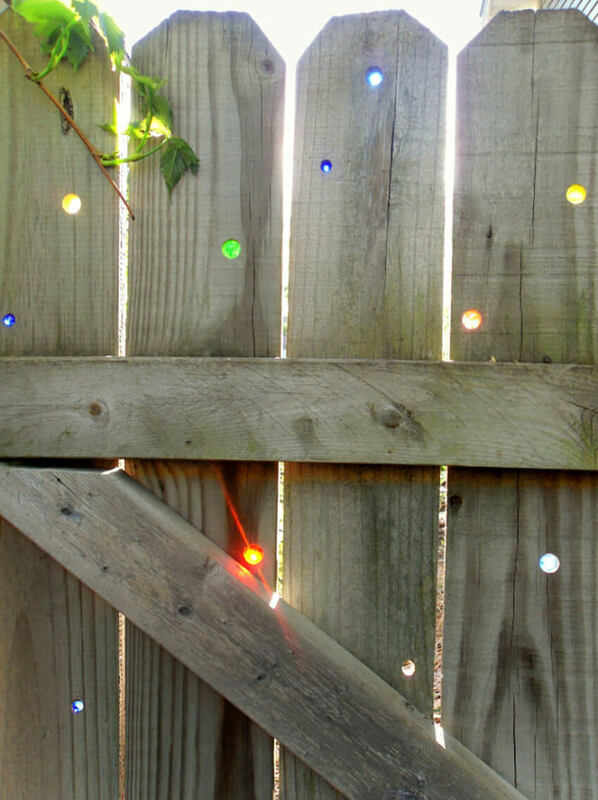 A simple and super creative way to make your old wooden fence much more fun and joyful is by drilling holes and placing colorful marbles in them. 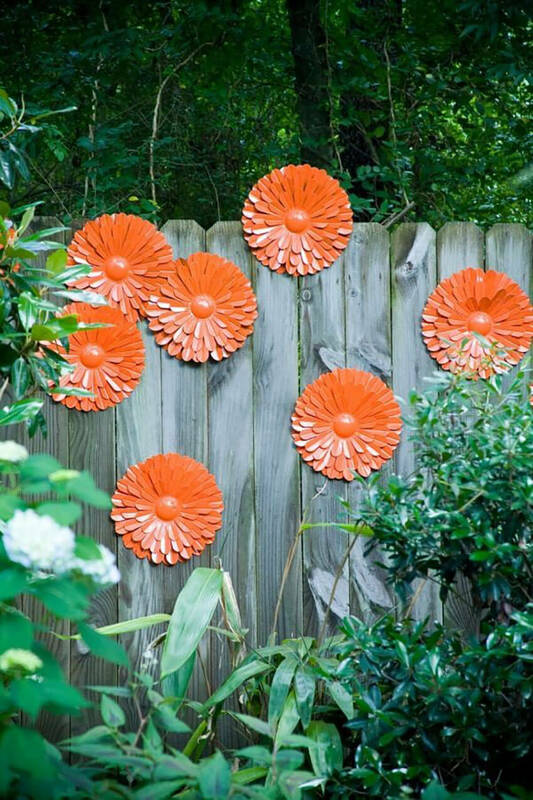 It will make your boring fence become a work of art! If your kids love to draw, this idea will be a hit. 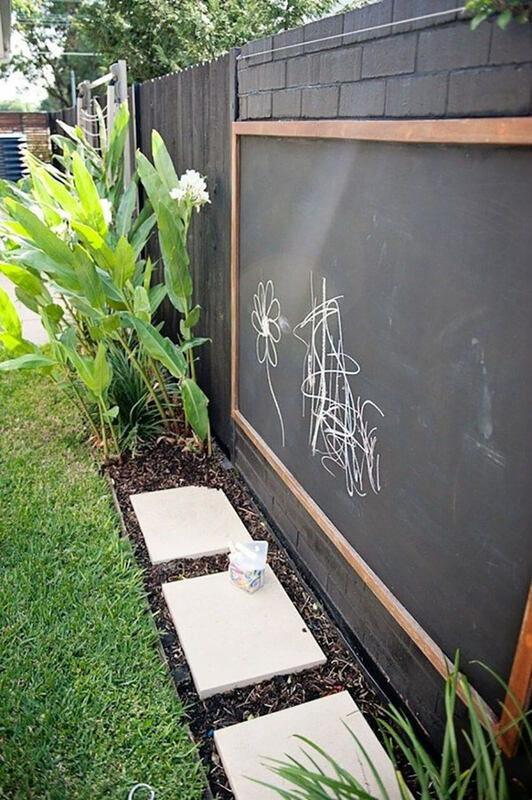 Since the warmer weather is here and you’ll be spending much more time outside, you should add a chalkboard to your backyard fence and make the place more fun! Without a doubt, it will make the little ones have a much more joyful and interesting summer. Landscaping and gardening will become super easy with this idea. A hanging garden is a great idea, specially for those with a small backyard that doesn’t provide much space to plant. You can plant lots of herbs and veggies, which will make your cooking much more fresh and healthy. 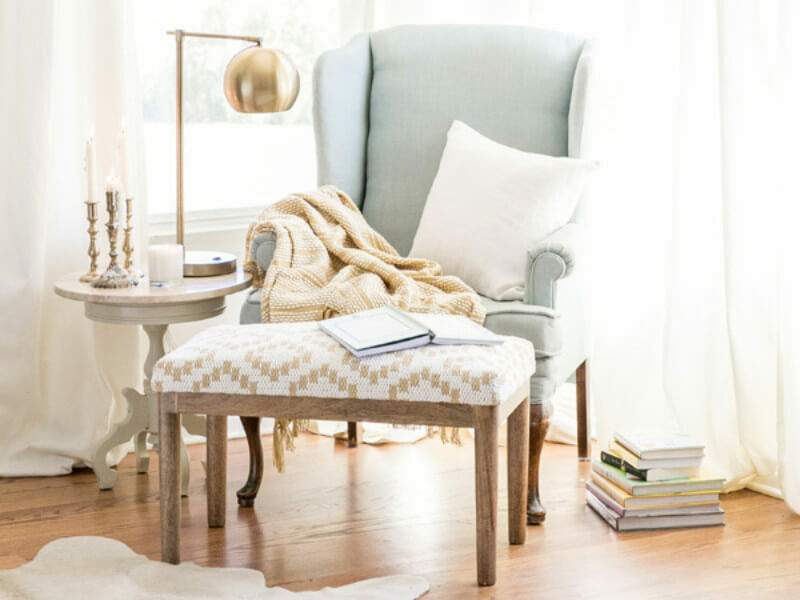 Dig out the Christmas lights from the closet and put them to good use. 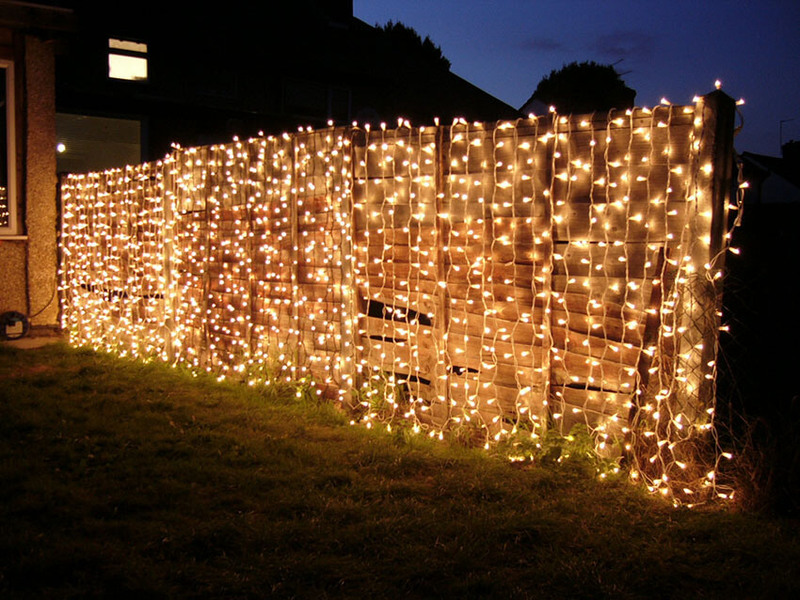 Adding some fairy lights to your backyard fence is another way of adding ambience to the space and making the outdoor gatherings much more special. Attracting birds to your yard is always beneficial, not only to improve the garden, but also to prevent mosquitoes and others pests that summer brings along. You can put small and colorful birdhouses in your backyard and make it look more fun or just shape the wood to make it resemble little houses, like in the picture above. 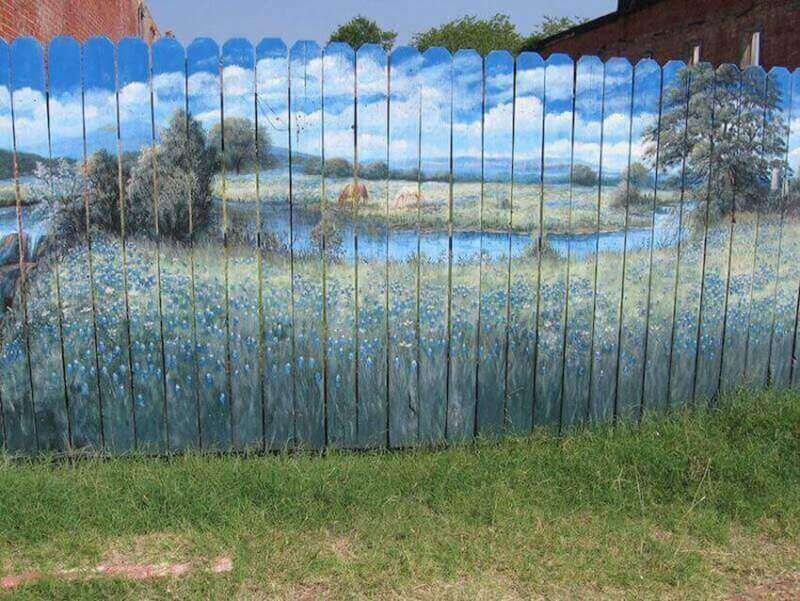 A great way to make the fence look unforgettable is by painting a mural on it. 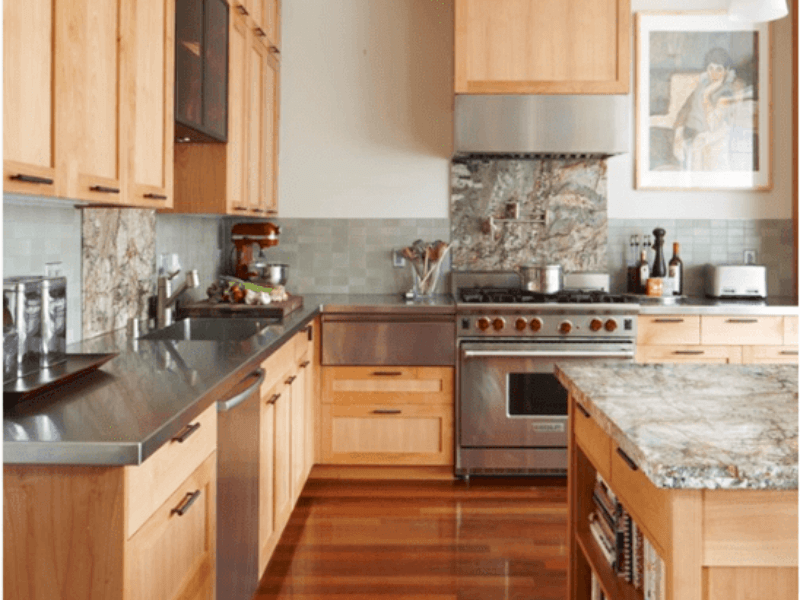 You can choose to go complex, like this one above, or go for a simpler option. If you’re not the artistic type, invite a friend or a local artist to paint it. Whatever way you go, it will definitely transform the backyard! 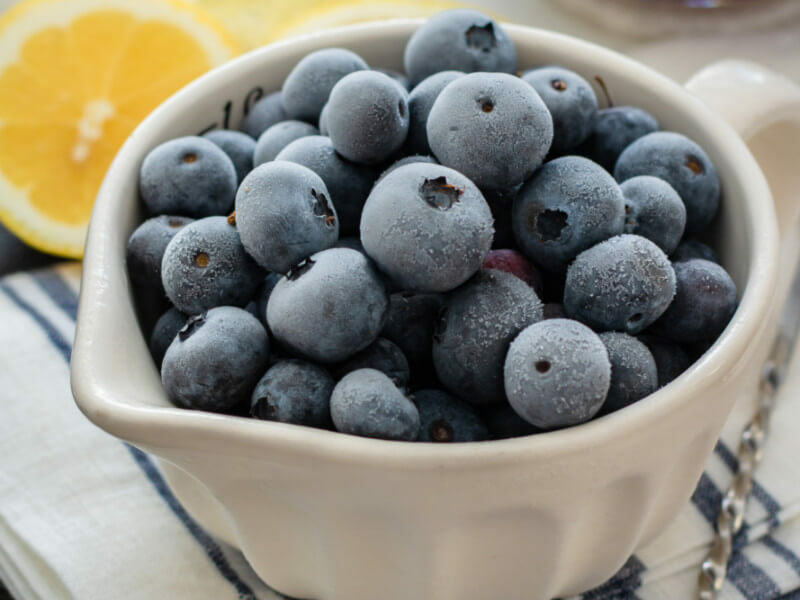 This idea is just a great weekend project. 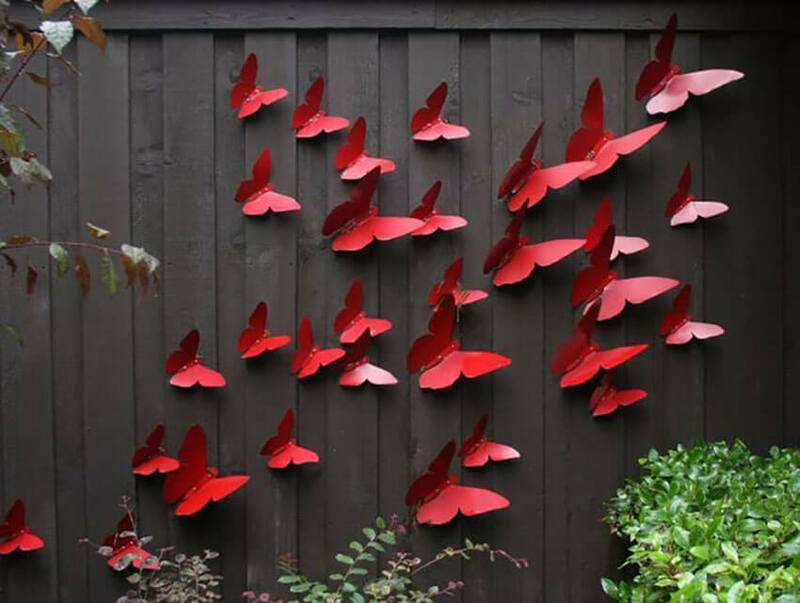 Go to your local crafts store or garden center, find some inexpensive metal art such as metal flowers or butterflies and spray paint the pieces. Choose a vibrant color, like green, orange, or pink, and let it dry completely. Then, just randomly attach each piece onto the fence using wood screws and you’re done! 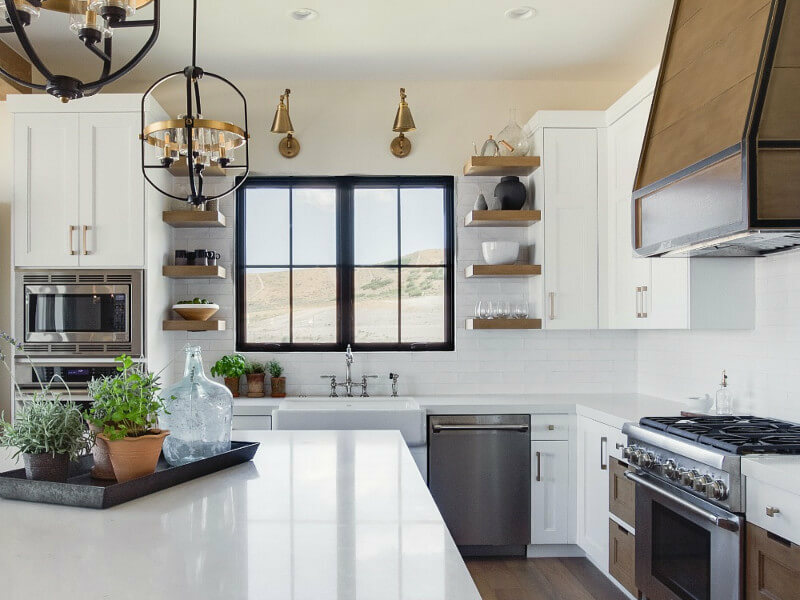 Before you know it, you’ll have an awesome display. Want some more cool ideas? 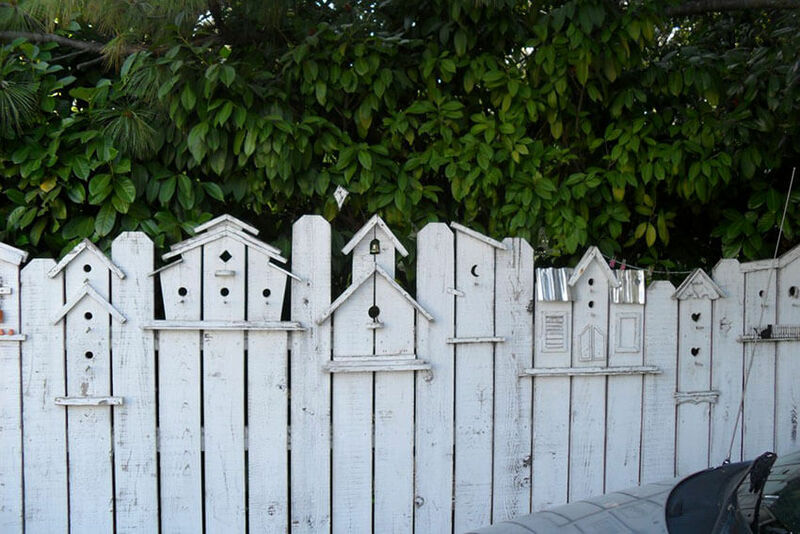 Check out these 10 Ways to Make Your Fence Beautiful! 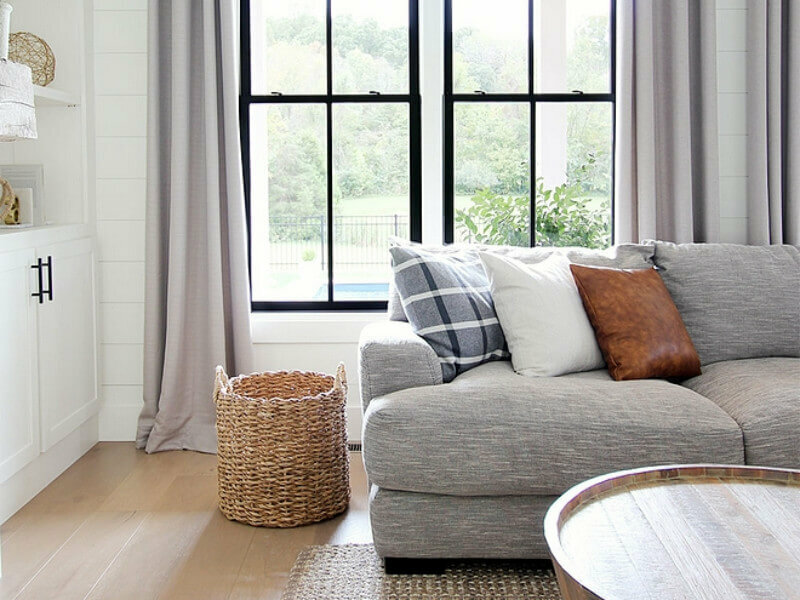 What do you think of these ideas and which one was your favorite? Let us know at our Facebook page or in the comments below! We’d love to hear your opinion and check out your own fence projects!